High wattage LEDs and light engines are required in UV curing, medical, stadium, stage, and plant grow light applications. In addition to the various AC input voltages, these applications typically require 400 – 1,200 watts of power as well as the requisite constant current (CC) output drive(s). 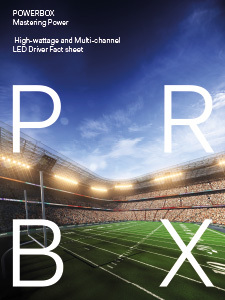 Additionally, the supply, generally referred to as a “driver” in Solid State Lighting (SSL) applications, often needs to have multiple constant current output channels which need to be individually adjustable for color mixing or dimming, as required by the end application.